Won’t Be “Har-bored” At Pender Harbour Days! From July 10th to 12th, experience an eventful festival in a small inlet on BC’s Sunshine Coast. 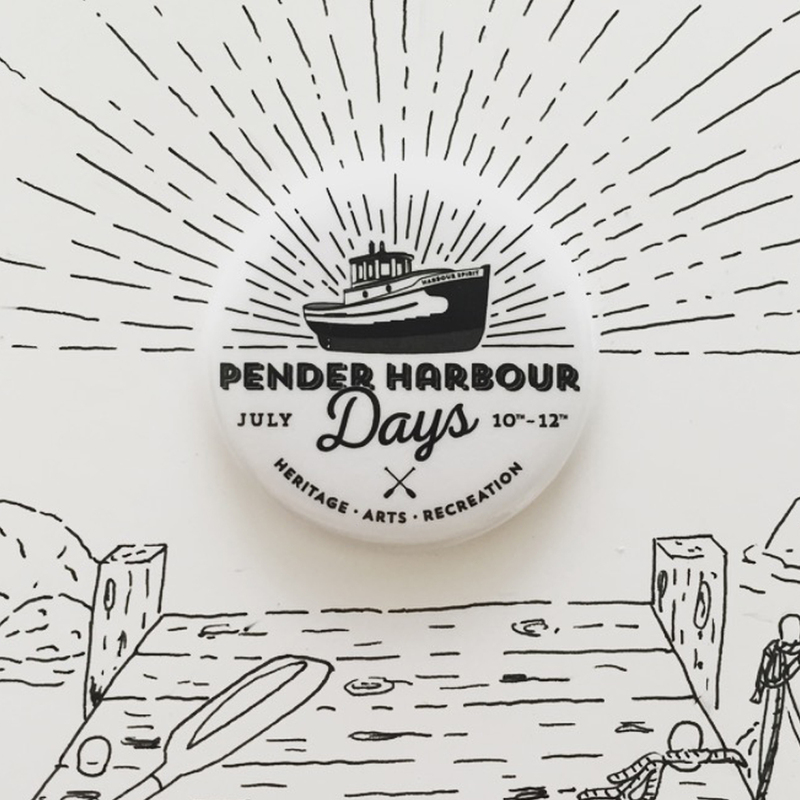 Pender Harbour Days are an annual celebration of British Columbia’s marine heritage. It features historical boats, land-based heritage displays, sailing competitions, and is a combined arts fair with other entertainment. Just a 40 minute ferry ride and a leisurely car drive away, Pender Harbour feels like an paradise close to home. Although it only has a population of about 3,000, there are still many things to do and see. You could visit the Pender Harbour Resort and Marina, visit many other festivals that are held throughout the year, go boating, or even go scuba diving! So if you’re looking for a nice summer getaway close to home, go and visit Pender Harbour! You never know, you could be sitting on a deck staring off into the sunset just like this button depicts if you do!